Tonight the air is crisp and cool in your lungs, a soft breeze brushing over your skin as you overlook the Kalaron Valley from the last crest of the mountains. It has been an exhausting trip as you’ve cut your way through narrow passes, battled dozens of giants, and fought hypothermia in hopes of finding the sunken temple of Pharaoh Lashum somewhere within the valley. Although the king of the country begged you to travel south to rescue his beloved daughter who is surely dead by now, your journey north to claim possession of the *sigh* Super Cool Mighty Stick of Power surely will be worth her sacrifice. I’m an excellent liar. Too good, really, as often my friends stop and wonder if that fantastic story I just told was half true or not a bit. Although my skill as a liar is never used to harm or cheat anyone, I do frequently use that skill. And yes, I call it a skill because it is something that demands practice and development before it can be done. Mom always insisted that I would never be able to use that ability with anything practical, but I beg to differ. It is brilliantly helpful as a GM. To anyone who has been a GM before, you know that basically no story you have written out will unfold as you wrote it. It never happens because players are unpredictable. Some do it on accident, others do it out of spite of knowing you want them to go a certain direction. Although there are plenty of tricks at being a GM that will allow you to keep your players right where you want them to go, sometimes the situation gets so out of control that you are simply going to have to make up what is happening on-the-fly. This is called lying. Yes, you as a GM are a liar. Your job is to give the players an Effect from their Cause of whatever they did. Did the character see the villain go down the right alley? You told them they did not (when in fact they rolled the secret target number). You told them the dragon successfully rolled a critical on the party’s wizard (when in fact you rolled a 1). Oh what’s that? You have never done that before as a GM? Well then, you would be lying. See how easy it is? The ability to lie requires you to think on your feet….FAST. You have to come up with a story that is believable, and depending on the lifespan of the lie, you also have to have a great memory to remember what you have lied about up to that point. Those with bad memories and think slowly will never be good liars (or GMs). And this skill’s challenge increases if your players are intelligent and not gullible. This skill takes time to develop. Being a good GM means that you have taken the time to work on and improve this ability to a level where you can theoretically have a conversation with someone in which you have no idea what they are talking about. For example, have you ever had someone try talking to you about a subject that is over your head and difficult to comprehend? How do you handle it? Most people will simply nod their head and say “Uh huh” when they pause between sentences. This is an opportunity to work on those skills. Let’s say for argument sake someone asked you,”Wow did you catch last night’s baseball game? There was a crazy play in the 8th when Cecil didn’t tag up on a pop fly but got away with scoring.” Instead of simply saying,”Oh I don’t like baseball,” trying to convince the person you are at least mildly interested in what they are saying, Perhaps try,”Yeah I remember a game where the coach was livid over a bad call and threw something out in the field. Knocked a player out cold.” Just thinking off the top of your head, you know they’re talking about a sport, which all sports have some kind of a coach, and in every sport there is always arguing of some kind over rules and such (basically my old role playing group was a sport). It’s purely B.S.ing and convincing others you know what they are talking about. You don’t have to have a deep conversation with the person, just enough to satisfy them that what they said was received and understood. The concept may just sound alien and for some it will be impossible to work on because of personalities or behaviors or even phobias. It can boil down to trying this out with your closest friends whom you feel most comfortable around. I once GMed a player who enjoyed using a chaotic dice when playing. It really allowed him to play chaotically, but, more importantly, he forced him to come up with behaviors and make decisions off the cuff. If you’re lucky enough to get the night off from being a GM in order to play, give yourself those opportunities to practice on playing truly chaotic. If you are attending classes, drama classes can really work on any hesitation you might have with coming up with things to say off the top of your head. Make sure you try improv anytime the chance comes up because it will help you think on your feet more. It might not come overnight, but it WILL come with practice. One final piece of advice on being able to improv your way through a role playing game: be more lenient to your players’ choices in the game. Go into each game with the understanding that they have their own thoughts, intelligence, beliefs, and fears. Feel free to leave hints and give them tastes of what you have planned for them, but don’t feel your story is ruined. Always keep your written notes for future moments because they will come up again. Tell yourself that you came up with that story and you can come up with another. Feed off the players’ choices and decisions like was discussed in a previous post and find the story that is waiting to be told. If your mind is completely blank, take a bathroom break. Take your time and think of a movie or book you’ve seen that might relate to the direction the players are wishing to go and throw it in there. Who cares if it’s not original? TRUE original content is hard to come by as everything is influenced by something in the past subconsciously or consciously. The important thing is to have fun and enjoy the game. This concludes the 6-part series on improving to be a better Game Master. I hope that through it all there was at least one thing that you were able to take from it and use for your own. Look for other mini-series collections in the future right here. Just beyond the last of the numerous boulders you’ve wound your way through lies the elusive Dungowon Monastery, your destination. As you crest the mountain, the snowfall grows heavier, snowflakes the size of your fingertips fall about you, deafening the area to a tranquil silence. One of the goatmen monks, famous for their ability of teleportation, floats in a seated position, his eyes closed at the moment. The building behind him is said to hold the Kylver Scrolls, which contain secret knowledge of ancient times that could rid the world of the devastating disease that is quickly wiping all living matter from existence. How well do you know your friends? Do you know anything really about the guys at your local gaming store, or are you just glad to have people who will play in your group so you can play? Perhaps you tolerate them just enough. Even still, you may only play your games online with those you have played video games with but never had the chance to meet. When a screenwriter or novelist writes a story, they typically target a specific audience (i.e. teens, males, females, 30+ year olds, etc.). They have potentially millions of people exposed to their work, which causes a greater risk of either becoming hugely popular or hugely hated. They might understand their fans to some extent, knowing that they love a particular character or a relationship between two characters, but they have no idea about specific fans and what those individuals what to see on each page. With GMs, that information is available and truly essential for them to know. What if an author sat down with you and asked you a series of questions about a particular setting, the characters, the events, and asked you what interests you in general of those areas? If the author wrote a story based on your answers, that story should, in theory, be a terrific read for you. It is filled with things that interest and excite you. Running a role playing game can incorporate those interests within the story line, which will keep your players intrigued and excited to play and come back for more. It’s not necessary to write an entire campaign solely with your players’ intentions. This is a team effort. The initial concept should be yours because when it comes to keeping yourself motivated and inspired for the long haul that is a campaign, the core of the system demands to be your greatest desire. The responsibilities and requirements expected throughout are going to be demanding, and you need those assets to help you get through it without getting burned out. Quite a lot of beginning GMs have no idea what they are getting into when they say “I want to run a campaign.” They may have this initial concept of the setting, perhaps a general idea of a few adventures, but it takes quite a lot of work and preparation not to mention stamina to make it through one. That’s where your players come into play. As mentioned before, I go through quite a bit of prep work before we hit Session #1. My OCD, creativity, and perfectionist sides probably make me do more than is needed, but among these is coordinating the details with my players. I might write up 10 or so questions that I will ask the each player that I will try to incorporate each of their responses where I can fit them in. These questions can be as broad or specific as you wish. Does everyone have some kind of magical ability? Are guns present? Is the world religious and still in touch with deities? Who is the most famous individual in the world? Is most of the world dark and foreboding? What weird event always happens when the sun goes down? What 4 festivals occur in each season? The list of questions can go on and on. And as many questions as you want to ask (and the players want to answer) should be asked. It will only flesh out your world better, and it will plant customized pieces into the campaign that the players will relate to and recognize when they occur. 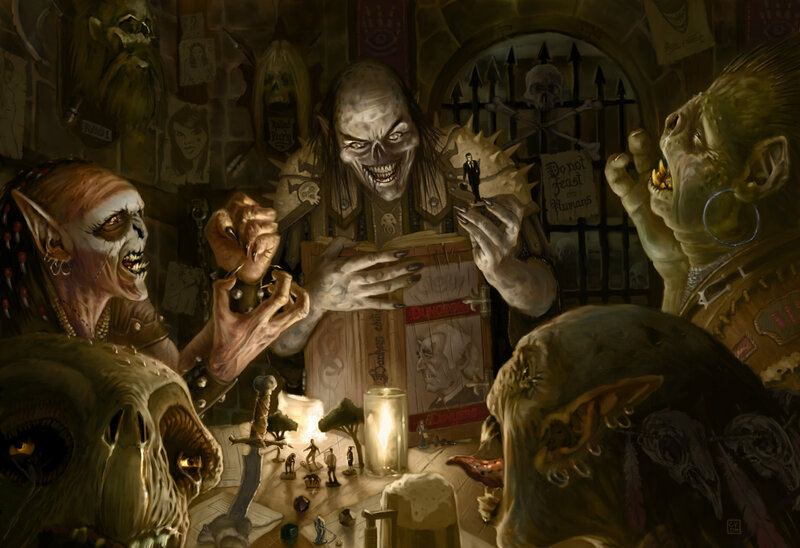 Role playing systems such as Dungeon World are built solely around that very thing as the GM is encouraged to ask players why things exist or occur in the game while in-game. 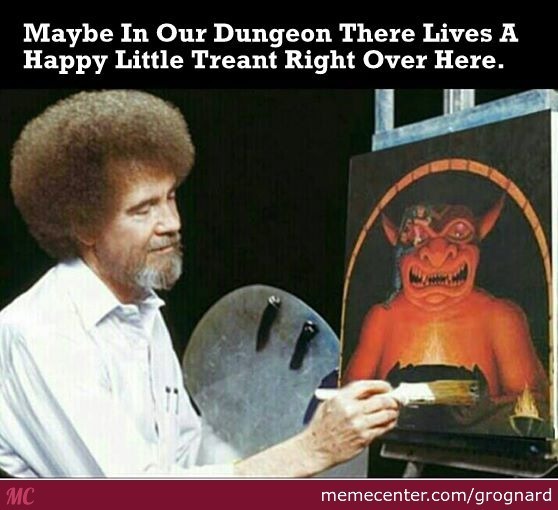 Always keep in mind that although you may have an amazing idea for a story that you are anxious for the players to unravel, role playing games are not made for the GM’s sole pleasure. Sometimes the areas that need filling in your campaign may turn out to be the best interest of one of your players. So with all of that said, an excellent GM will be able to add these elements on-the-fly without having to ask a lot of questions to the players. Knowing what your players enjoy or hate in life can be reflected and used in your game. They enjoy horror movies a lot? Don’t ask them if they wish if the campaign is dark and foreboding. 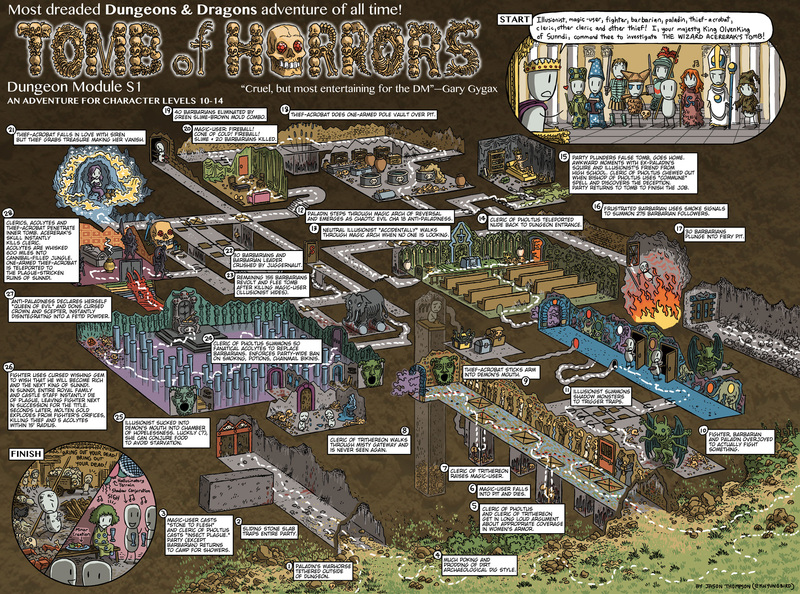 Know of their enjoyment of the horror genre and incorporate that into your game. Do they get bored trying to navigate complex dungeons? Alter the dungeons to be less traditional and more open yet still confined. Perhaps one player loves cats. One of their encounters could be simply a wounded cat that the player mends and it takes a liking to the player’s character. These are assets to a game that draw your players into the story because it strikes their desires. So how do you go about getting to know each other without sounding awkward? 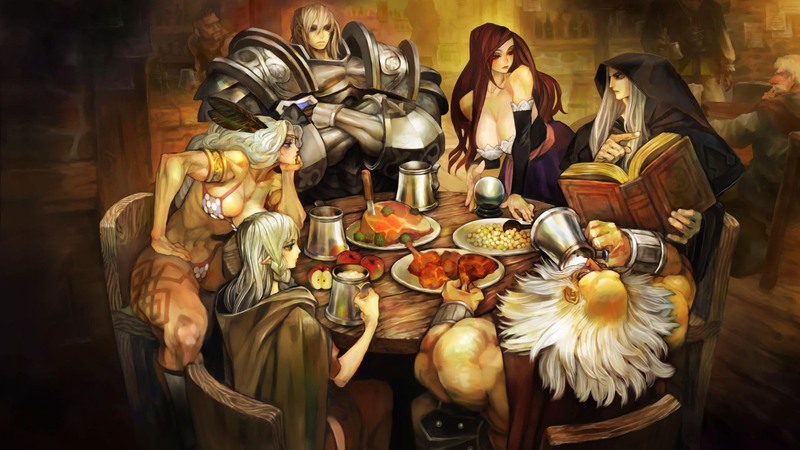 This is where non-game night get together’s can be beneficial. Pick one week where you are simply uninspired or unmotivated to run a session and suggest some activity such as going to an arcade, go out for pizza, check out a local bookstore, go watch a movie, etc. While out with them, turn on your observation skills and listen to what they have to say and how they act to certain things. Take note when they say they hate mushrooms on their pizza. Yes, even that can be used in the campaign. How? The party encounters a fairy ring. The character falls into a bed of fungus that is carnivorous. Mushrooms are all that grows as a food source in their area. Although this contradicts what was said earlier, sometimes even their disinterests can be their interests when they face it. And don’t forget during the game too! Listen to your players’ reaction to situations in the game. Does a player actually shiver for real at the mention of spiders? Write that down because chances are they have a fear of spiders that can be implemented into the game. Did one of the players get up and dance in the room when the party entered a vast city market containing pseudo dragon pets for sale? Then pseudo dragons should make an appearance at some point or another. Work on being observant with body language and verbal responses in order to better understand what your players love and hate. The bottom line is never completely conform, just compromise with your players because the ultimate goal, as said in a previous post, is to create an amazing world and enjoy what lies within equally. For days, you have hunted to find the hidden trail winding up Voldemir, the massive mountain dominating the western portion of the Eastsea Mountains. The map your uncle gave you marks this general area as the base of the path, but you cannot seem to find it yet. William, from your childhood, you remember your great grandfather telling stories to you before bedtime of his past adventures. One of these tales was about Voldemir and how he scaled it by himself to rescue his adventuring companions. He had mentioned the stone you now possess thanks to the smooth talking of your Bard companion. Walking along the foothills, the stone begins to glow a dull blue, illuminating brighter as you make your way to what looks to be a very rough game trail. Your journey up Voldemir begins. This episode is about knowing the difference between running a game that is player driven and one that is story-driven. There are tremendously fantastic published modules available that have gone down as the greatest games played in any role playing genre. They are rich with plot, adventure, intrigue, humor, and mystery, and they demand critical thinking, great role playing, and sometimes lucky dice rolls. There is nothing wrong with them at all in their own entity. However, although the GM is the captain of this ship, the players are really the navigators. And they ultimately determine the destination of the voyage. When I want to run a campaign that will take longer than 3 or 4 sessions, there is significant prep work that I will do before I even approach the group with the proposal. It involves writing a “bible” of the campaign setting, thanks to the brilliant suggestion of Wizards of the Coast’s Chris Perkins and his now-archival blog (an absolute must read for GMs). The other area I take care of is character creation. For many, this stage in any campaign is the most exciting. The idea of starting something new is always enticing to anyone. The smell of a new car, the feeling of booting up a brand new computer, or even slicing up fresh tomatoes are all appealing because they are new. So when my players are beginning the initial concept of character creation, I never let them work on it entirely solo. Otherwise, it can often lead players to having worthless characters, boring characters, or a mix of the two as the campaign progresses. This is because that campaigns are all different, and they affect the characters created for various reasons. It may take place almost entirely in urban areas, making traditional druids nearly obsolete. It could be mostly wilderness exploration, which could render rogues useless. It’s essential to communicate with the players as much information as possible so they can have a clear imagine of the world. Character creation should not be something to take lightly. Those who simply roll some dice, look some stats and equipment up in a book, then say “I’m ready” are not going to really get much out of a campaign because their character isn’t developed. It’s not a 3D character. Why does the rogue have a 9 Charisma? What caused his Constitution to be average at a 10? Yes, even the attributes can be fuel to writing the background of the character. The background of any character is the most important part of character creation. You could really write the background first and then create the statistics based on it if written properly. Although not everyone is a professional author, everyone can visualize and create in their minds, no matter how creative they think they are. We all used our imaginations when we were kids; we dreamed of incredible places. That power is still in our minds, it just has to be tapped properly. Some general areas of what would help create a solid background: heritage, philosophical ideas, quirks, beliefs, nightmares, traumatic experiences, contacts, physical appearance, medical history, past professions, education, inspirational people or events, hobbies, current or past loves, joyful and sad memories, favorite childhood toy, favorite food. It is almost as if you could be writing a profile for an online dating service. The goal is to create someone that looks as genuinely real on paper as possible. The more real that individual looks to be, the more variety and options the player will have when fitting into the role of the character. And all of this is what a GM needs to study and memorize as best as he can before the campaign begins. As a GM, you should know your players’ character inside and out. There should be no surprises because when it happens, it usually means that they are going to tip the scales and something will fall greatly into their favor, possibly screwing up your entire adventure. 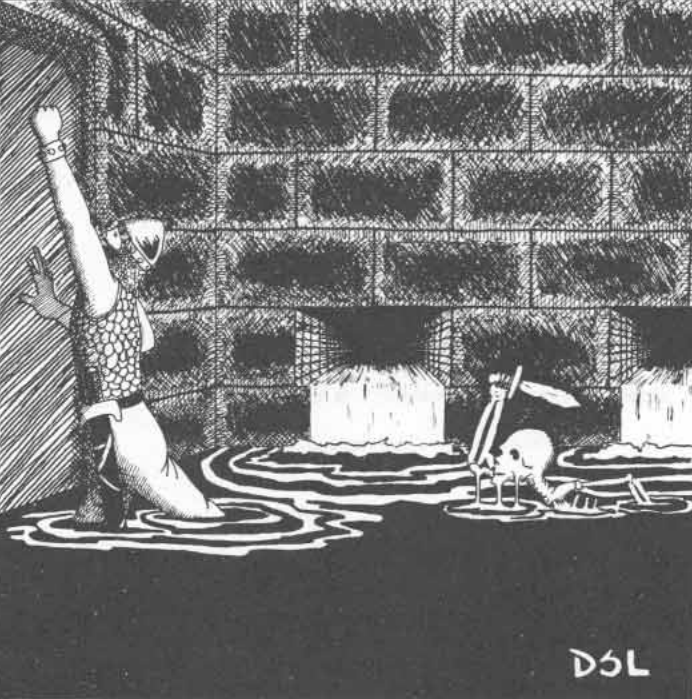 For example, if you have the party exploring a dungeon and you give the description that you hear the sound of the prisoner to be rescued from the other side of a thick wall (hoping they will continue down to the door you have trapped), then your excitement may be deflated if one of the players has a spell or ability that lets the party walk unharmed through the wall. Knowing the party will help you develop the story better. The bard lost his mother on the voyage over to the mainland and was never found? You can (and should) take that and create a mini-campaign within your main story line involving the bard overhearing the name of his mother at a seedy seaside tavern where he can possibly follow clues to discovering she is alive and well. It gives the story focus on the character, and it brings them closer in connection with the campaign. Players feel more like their characters are meaningful when they have such significant impact on the story. This really can’t be done with modules because those are generic, suitable and well-balanced for any combination of characters. I take the concept from Chris Perkins again in that each game session, I enjoy spotlighting one of the characters for the evening. The over-arcing main story line is still there, but this evening, the bard is going to find a captain who remembers a woman by his mother’s name becoming a pirate. She is living in a cove a day’s journey that happens to be on the way to the hidden monastery the party is searching for. This is all because the player who is running the bard wrote about his missing mother in his background. It can be simple such as the cleric finding an arcane spell book that was written by his father whom he never knew dabbled in magic. 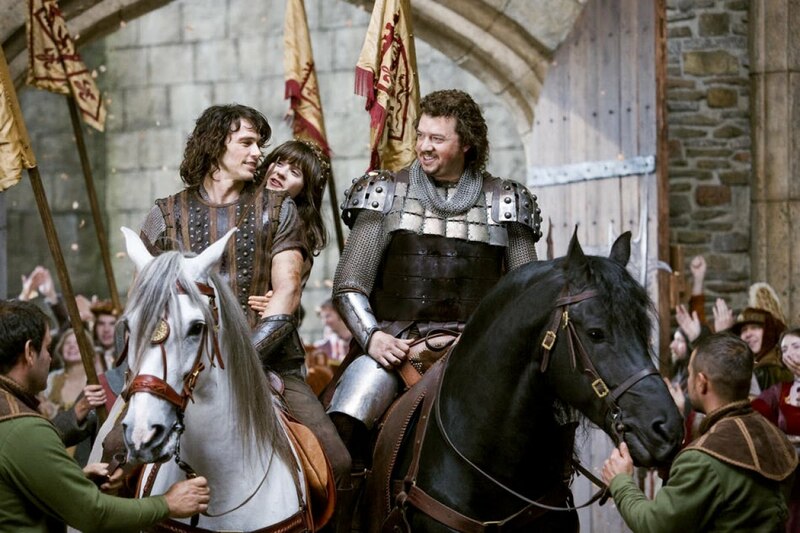 But little moments like that will bring the characters closer to the game and story, and their interests will peek. There are even times when I ask the players what they want in the campaign. I allow them to mold it a bit such as adding a crazy campaign rule. I ran a Deadlands campaign years ago where the players wanted the setting to allow automatic weapons from the 20th Century. That’s what they all wanted. I’m not suggesting to let the player’s crazy ideas destroy your campaign, but listen to their wishes and interests to make sure you know what kind of side quests and player-driven adventures that will keep their interest. I’m treading into the next episode here, but knowing the characters and knowing your players follow in a similar path. Every GM has writer’s block at some point during a lengthy campaign, and utilizing this concept of players driving the story along with their backgrounds can revitalize a GM’s creativity. When you are sitting at home staring at a blank piece of paper hoping to come up with a great adventure for next week’s session, grab the copy of the character sheets (you did make a copy, right?) and start filtering through them and challenge yourself to find a story hidden among them. You continue down the stone corridor with the sounds of water echoing off in the distance. Up ahead, you see a turn to the right and one to the left. You choose the right tunnel, which continues for about 60 feet before turning left. No…left. No, you turned right then left. You drew two rights. Right. Like that. This tunnel is about 120 feet long before it splits into three tunnels. No, the tunnel is a bit longer than that. Bit longer. Right there. Basically 12 squares. Well I know that makes the tunnel run into a part of the dungeon you were just in, but this dungeon is impossible to map. I told you that when we started. I’ll confess as a graphic artist, I have a weakness for beautifully drawn maps. From line drawings on graph paper to fully colored cartography illustrations, they bring out our imaginations of adventure, exploration and discovery. They can also help clarify or paint an accurate picture in your mind of a place that isn’t immediately in front of you. It’s been a staple in tabletop role playing games since the start of it all. 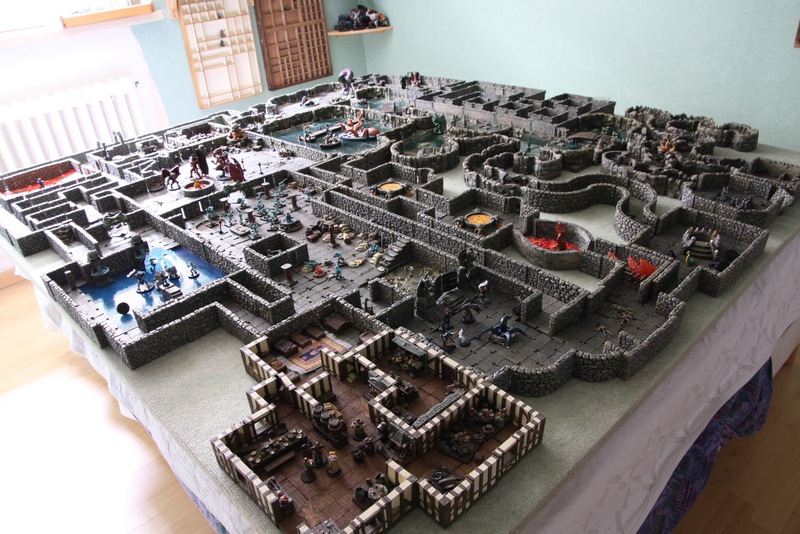 RPGs can be split into the kind that use miniatures and the kind that don’t. 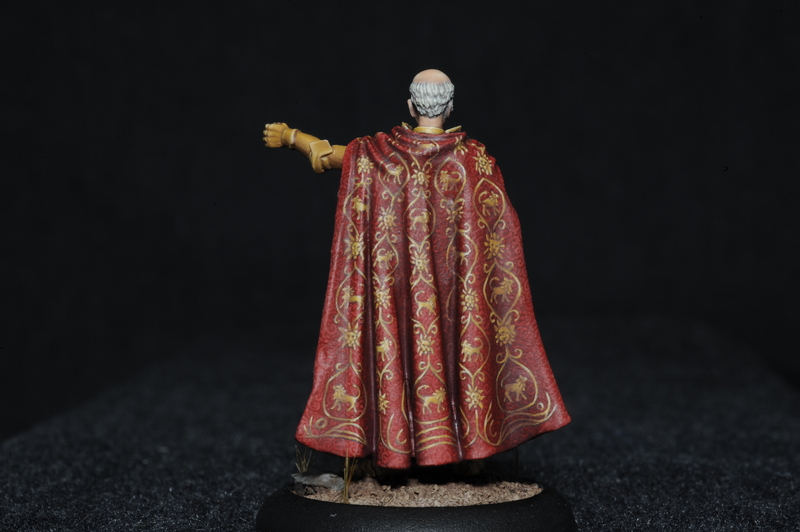 Although a well painted mini looks outstanding on the table and makes one appreciate the artistic skill behind it, there are draw backs to using them that are still out for debate. I have played in a game that included Dwarven Forge terrain once, and I enjoyed it because of its rich visualization, but I was not using my imagination at all as we explored the underground cavern. Why should I? The visual was laid out in front of me. It did assure there was no confusion on positioning at any time, however. We knew exactly where everyone was and how many monsters remained alive. When the traps were sprung, it was neat to see the miniature boulder roll down the ramp. However, it felt like I was playing a very expensive board game rather than a role playing game. It felt more tactical than imaginative. Some GMs enjoy bringing their grid battle map to their game session with markers to create the top-down view of the players’ progression on the fly. Others enjoy bringing an already drawn battle map and reveal it all to the players at once to save time. Then there is the “classic” style where one person is assigned the duties of drawing the map as they go. There have been a couple of games I have sat in where mapping was requested by the rest of the players, and I just shook my head and wondered “why?” If you were to travel through a dungeon or some underground fortress, would you bother to bring a piece of paper and pencil and try to draw the area without any form of surveying tools? Of course not. You’d walk through the tunnels with trepidation and not bother with it. So why bother while playing? At times players will come across a dead end or room that requires some backtracking to get through. If the dungeon is so complex they need to point to a specific place on a map and inform the GM they want to go back there, then they should alternatively take notes. In the scope of the game, it doesn’t matter if you trace your finger across the map, room to room, until you point to the room you’re wanting to travel to. Simply saying, “Okay I want to backtrack to the room with the large statue in it,” is sufficient. If the party comes across a split in the corridor or an alternative route, make a note of it. “Corridor with 2 turns, we went left.” The GM will have the map hidden behind his screen. He can make a mark on his map that is “Split #1” so the players can refer to it later. It’s irrelevant that the corridor to get there turns 3 times and goes up a 15 foot incline. The other option for the artistic GMs who enjoy map making is to create the entire area before the session, keeping out the secrets. Depending on how large the map is on paper, one could even go to the trouble of having an equally large paper with a hole cut out, showing only small areas, and moving the paper around. Personally I would recommend breaking the map up in smaller sections and having smaller sheets of paper. I don’t want to reveal the large ominous room on the other side of the dungeon that is clearly where they should go. Instead, I’ll have sections, perhaps on the back of index cards, and lay them down piece by piece as they make their way. I seldom use miniatures because I believe role playing is about creating images in your mind. One of my favorite D&D map makers is Dyson. He has an excellent (and long running) blog over at Dyson’s Dodecahedron. In it, he explains various techniques that GM’s can use to enhance their maps. If you are a GM who doesn’t have a lick of artistic ability, then following some of his suggestions can really help along with bringing out flavor in your maps. Pulling out a large map you drew of some fortress your players are going to storm this evening can be very satisfying (and you’ll get plenty of compliments for the effort….or you dock XP). Whatever you do as a GM, either don’t allow map making or don’t stop the game to correct any confusion they may have. Part of that confusion they have would be trying to get through a winding dungeon. Map making without any surveying tools is inaccurate and time consuming. The characters are bound to get lost at some point, and that can be part of the adventure! Leaping off of the balcony, the beast of a man brings his enormous morningstar down upon the knight’s shield, shattering it into hundreds of metal fragments that shoot through the air. The sheer force of the man sends the knight to his knees who desperately rolls to his right to avoid the foot coming down towards his head. He slashes in retaliation with his father’s two-handed blade, sending it deeply into the ribcage of his enemy. The lights in his eyes begin to fade as the wound takes its toll, but the whistle of a passing arrow ends the beastman’s life entirely as the knight’s faithful companion launches the death shot into the back of his head. I think no matter what type of person I convince to sit down and try an RPG, everyone’s focus sharpens when combat occurs. There is something about the thrill of the violence that captures our inner animalistic behaviors, our sense of aggression, or perhaps it’s just plain cool to see. Whatever the case may be, combat makes up the opposite half to the role playing aspect of the game. For some people, it is the only thing that matters when playing. There are far too many rulebooks resting on my bookshelves these days. When I get my hands on a new one, the only three places I bother looking anymore are the race list, class list, and how they deal with combat. Of those three things, I always turn to the combat chapter first. For me, the way a company’s new rulebook defines their method of dealing with combat defines how well their game is going to be. For the most part, there really is no need to have rules for non-combat roleplaying situations. There are moments of high risk that would require dice to give the game a sense of chance, but when you strip that situation down to its core, it basically involves someone rolling one or more dice to land in a range of numbers for success. You don’t need a book really to allow that to occur. Combat, however, is a different beast altogether. As I mentioned in the last episode, pace is the quintessential part of running a good game. Perhaps one of the toughest sections of a session to keep pace flowing is during combat. There are a couple of reasons why: usually everyone is involved, turns must be taken to maintain order, everyone has to decide what to do, ideas may have to change on-the-fly as the situation changes, and actions may be attempted that is questionable on whether or not it can be done. When the game is flowing casually, meaning no combat is taking place, generally anyone can speak up whenever they wish to take an action. There is no real need for order because the situation doesn’t call for it. One person can inspect the dead body while another can question the suspect while another can keep a lookout. The GM would still have to go around the room and take care of each person individually or can try to cut time by generalizing the situation by explaining each result in one sentence. “All you find on the body is a note that says ‘Meranda’, which the suspect says was the victim’s wife’s name as you interrogate him. Across the street you see a flash of light.” With combat, however, the situation becomes more chaotic as everyone is battling for victory. Everyone’s actions occur simultaneously, but everyone shouting out what they are doing would yield no results. So we have initiative rolls to determine order. Then each person gets to take their action in turn…and this is where the traffic jam happens. Some people look at their character sheet and might be overwhelmed with the sheer number of things they can do during combat. Some people have magical spells to look through. Some people love to come up with crazy, wacky, death-defying tricks that will turn the tides in their favor. Some people just want to always swing their sword at the person in front of them. When I go around the table during combat, I give them 5 seconds to say what they want to do. That’s it. It may sound like not much time, but your brain works fast enough, you should have a general idea of what you want to do. Attack the bad guy, cast a spell, protect your friend, get out of the way, free the prisoner. Something. If your mind is blank and you can’t think of what to do, simply hold your action. In my game, when you hold your action, I allow them to jump in between two other players’ actions when they make up their mind. After the second player’s action, I will quickly ask the held player if they are ready. They don’t get 5 seconds in this situation but a quick yes or no. If multiple people are holding their action, I generally have them all go after at least one of the enemies has gone to show that no one is going to wait for them to think of what to do. It provides a sense of urgency, which in combat, should be the feeling they have. Combat should never be a casual, laid back experience. If properly monitored by the GM, when players get into combat, they should sweat a little, figuratively speaking. Although some GMs will hide certain information regarding the enemy from the players, there really is no point in the long run. Eventually players will roll in the area of the target number and know what it is. So why bother hiding it from them? To keep play sped up, right from the start, tell everyone to write down the base target numbers of all enemies they are facing. Have them all roll dice while you are going around the table asking them what they are doing. Make them roll for damage in case they are successful on their attack (assuming the rule system applies to this). That way when you get to them, they can describe their action to everyone, adding in they hit, and then finish with informing the GM how much damage was done. If they miss, they can describe their action of missing if they wish, then move on to the next person. As an option, describing each action in detail to the group may keep the attention of those who are waiting their turn to prevent boredom or a lack of focus. This way, combat may run quicker and smoother while still giving a good visualization of the encounter. But we all know combat never runs that smoothly. There seems to always be one or two who are either still learning the rules, are a Rules Lawyer, or a spell caster. By the time you get to their turn, skip it, and get back to them at the end of the round, they still have a rule book open, trying quickly to find the rule that will allow them to do whatever they wish to do. This is where the GM is a beautiful thing. GMs, do your best to keep the rulebooks closed during game play. Even for spellcasters. Yes, it can be done with a little prep work. We live in modern times where computers and printers exist. Although some rule books allow for certain classes to prepare any spell in the entire level each day, one recommendation is to agree to a shorter list of spells that the player is interested in. Let’s face it, there are spells in every book that will never be touched. If you have a player who is fixed on having every spell available, then print out just the levels he can cast from the PDF you have. If you progressively print out a few pages only when they reach a level that grants another level of spells, you will only print out about 1-2 pages at a time. Have them keep their own print outs with their character sheets. This is especially critical during conventions when players are paying for their 4-hour game slot to finish on time. The other way to keep the rule books closed during play is to make the executive decisions as a GM, like you should be doing. The player wants to leap off the balcony and attack the enemy? As a GM, you should be familiar enough with the rules you are using in your game to make an educated guess on that situation. Be fair, but be firm. Give them a chance of failure for leaping off the balcony, but if they land it, give them a nice bonus for taking the risk. All of this can be done if you explain prior to playing this is how it’s going to be done: the GM’s rule is final with zero arguing. If there are people who disagree and want to argue, then ask them to write this situation down, talk with them after the game, and come to an agreement for future reference. That person obviously is not agreeing with the GM’s rule is final, so have a civilized, mature discussion to figure out how to solve it. Perhaps give players tokens they can use during game play that will trump your rule and allow their interpretation to work. These are just a few areas that can speed up combat. 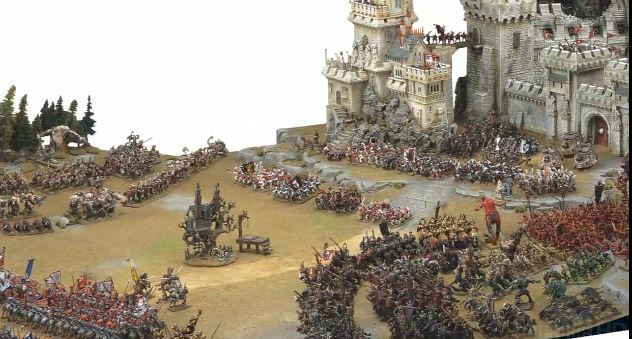 If the rules are too crunchy during combat and your group is having trouble finding ways to speed up play, it may be wise to look for a lighter rules system. Another moment that can cause bottle necking with players is when the first or second person comes up with a plan that thwarts everyone else’s idea, and they all have to scramble to think of something else. This is where the fallback plan comes into play. As a GM, work with the players to recognize that their great scheme may be on the minds of another player. Encourage them to have a Plan B or “if all else fails” plan such as a level 1 spell or using one of their weapons to attack their nearest foe. It needs to be something that is routine and can be done regularly without too much of a setback so it’s a guarantee. They need to be prepared to go this route so play can continue when their turn is up (or they can hold their action). Explain that everyone will at one time get a lucky roll on who goes first and they will get their chance. One final thought to mingle around the brain is to have things for other players to be doing while they wait their turn. 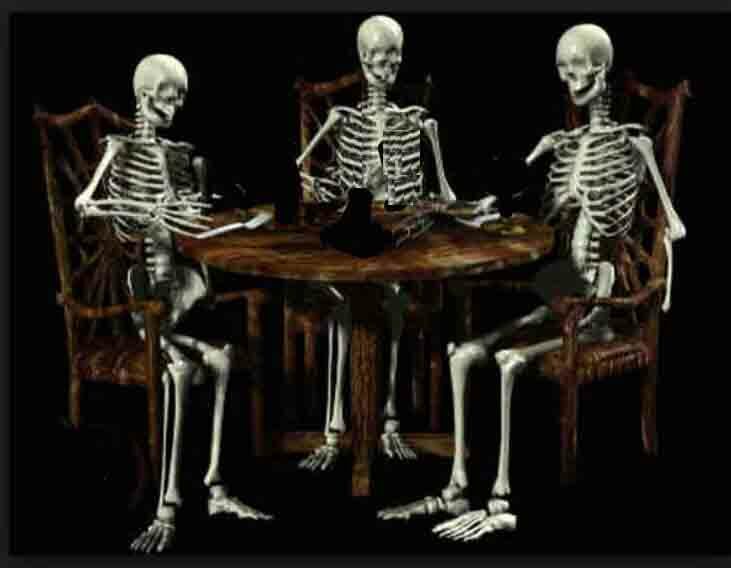 Often I’ll see people doodling on paper, stacking their dice, talking with another table, or just walking into the kitchen for a snack while they wait knowing they will have 5-10 minutes to kill before their turn comes. Don’t allow this as a GM. Maintain order by keeping people occupied. During conventions, I will have minor puzzles and such on paper for players during combat. They are instructed to A) think of what they are going to do on their turn, B) think of their fallback plan, and then C) solve the puzzle they receive. If the players are interested in the combat of others, they are more than welcome to enjoy hearing about the various rounds. However, if they are bored, giving them something constructive will keep them occupied. Reward them with using the solved puzzle as a free re-roll during the game. At the break of dawn, you leave the village of Juniper with sights set on the mysterious monastery you read about in the elder’s private library. Knowing it will take weeks to reach the location, you purchased fresh, young horses to carry you most of the way. After traveling for a few hours, you begin to notice the terrain slowly changing from the prairie meadows of Juniper’s country to a light forest. The black-eyed Susies have changed to young oak trees with wild onion growing along the base. You travel a few more hours, and now the forest breaks away to a small valley with a shallow river that cuts along the base. The clouds overhead are billowy and soft while the grass has a fresh, green herb-like scent that fills your nostrils with thoughts of spring. So far you have encountered nothing except some small animals such as squirrels, rabbits, and muskrats. Towards the evening you find a decent place to camp for the night, and nothing eventful happens during dinner. So that entire day passed and nothing happened except we traveled a while? Out of every aspect that makes up a good Game Master, I cannot think of anything more important than pacing. It is the basic idea of how quickly a narration flows in your mind. Even in literature, there are novels that will stop to describe the way the clouds are hanging above their heads or the types of wild flowers that are growing along the roadside. Before you know it, the book is 900+ pages of a lot of description between important scenes (I’m looking at you Wheel of Time series). Pace is difficult for a lot of GM’s. Why? The answer is because there is a delicate line between dealing with too much detail and not enough. This is a game using our imaginations after all. However, a casual 4-hour game session can easily stretch into an 8-hour marathon if the pace isn’t properly kept. Think about the last movie you watched. The story was told in a set amount of time by linking scenes together that give the best picture or idea of what the story is about. Often we will see someone, for example, get into a car and drive off, only to have a quick long shot of some place they are heading to such as a new city, and then the next scene they are pulling up to their destination. All of which took about 15-30 seconds. Our minds are trained to accept those shortened timeframes because we can bridge the gap of missing time by common sense. We see the car drive away, we see another city, and we see them pull up. Obviously they just traveled somewhere else. There is no need to show them driving the entire time as that would be awfully boring (much like it is in real life!). The same concept applies to RPGs. We don’t need to explain to the players that they need to make Ride Checks after 5 hours of riding to see if they fell off at any time. They don’t need to make Balance Checks if they are just walking through mud casually to a tavern. And there is no reason to describe to them everything they see from flowers to rivers to the White Oak tree they passed by along the way. One of the biggest factors in creating poor pace can be the game system itself. There are RPGs that are very rules light and don’t cover every situation such as when you are trying to balance one-legged on the back of a Pegasus while shooting a bow at a passing Roc. There are some rule systems that are very crunchy. These may call for those checks mentioned earlier at every corner. They may cause confusion on interpretation during situations not clearly covered in the book. Whatever the case may be, GM’s need to recognize that the ultimate goal is for the players (and GM) to have fun and reach whatever goal they set out to accomplish. If the game is constantly being stopped due to people opening up rule books to double check a rule “they were so sure it read another way” then the pace is going to be so dismal that the game will never finish. The solution is the GM needs to make a decision, his word is final, and they need to move on. If a GM wishes to hear a player lobby for a rule (because it always is in favor of the player’s situation), then that runs the risk of argument, which grinds the game to a stop. Putting your foot down politely without being a jerk is key. Establish before the game that this is how you would prefer handling rules debates during gameplay. As a peace treaty with the players, ask them to write any situation they feel was unfair or disagree with on paper and bring it up with the GM after the game. This avoids stoppage of play and gives the players a chance to voice their opinion on something. GMs are not always right and make mistakes from time to time. An idea or suggestion from a player may speed up game play and prevent any disgruntled feelings to occur. I’ve dealt with many Rules Lawyers in the past. They can be extremely annoying. However, a good GM will lay down the ground rules prior to playing so that everyone is not only aware of but also in agreement to those rules. One of these rules is making it perfectly clear that the GM trumps interpretation of the rules in any rule book. You are the Judge and Jury when it comes to rules. Not the players. Not the book. “But the book says it’s this!” Well if the GM explains how their interpretation is final BEFORE the game begins, then there will be less room for players to argue about that. I have even gone as far as writing contracts with the entire playing team. These may list house rules that I want to enforce, and if a player tries to belly ache about something in the future, I’ll point to their contract that they signed being fully aware that they agreed to this before. It really should be irrelevant for most gaming groups, but there are some people who have to be worked with a little differently in order for the pace to keep going. We can’t afford to stop every few minutes to argue about rules or allowances. One recommendation to keeping good pace is to bring a sense of urgency to the game in times of slowplay. If the players are not moving fast enough and playing far too cautiously, tell them they hear horns of an army not too far off heading this way. A powerful storm seems to be brewing quickly. Perhaps simply footsteps are heard coming in the direction they came from. GMs should always try to recognize moments of monotony and mundane in their game. You have a series of 6 closed doors down a hallway, each one of them opening to just an empty room with similar décor? Don’t make the players open each door. Explain briefly that after the first door is opened that each of the other 5 doors open to the same type of room. Perhaps the group is taking too long searching for a trap in one room they are convinced exists. Don’t make them roll checks over and over. If there are no traps on your GM map, you can just tell them freely they find no traps before anyone rolls. Player 1: I want to check the bed for traps. Player 2: While he’s doing that, I want to check the floor for traps. GM: Everyone takes a part of searching the room and comes up with nothing. The room is clean. Certainly mix things up on occasion by having them roll for a room that you know contains nothing of interest so they can roll dice and keep them guessing, but don’t make it each room or each corridor. Especially don’t make them search every 10 feet in a corridor for traps! You will often find that skipping things or leaving things out will go more unnoticed and be more acceptable with your players than describing every detail. Look for situations to cut corners such as avoiding rolls and awarding them the go-ahead through a brief description instead. Finally, part of the joy of playing these games is allowing our minds to create fantastical visions through descriptions. Keep descriptions light and brief; let the players’ mind do most of the work. When I first learned how to play role playing games in 1992, I was overwhelmingly inspired to run my own games. 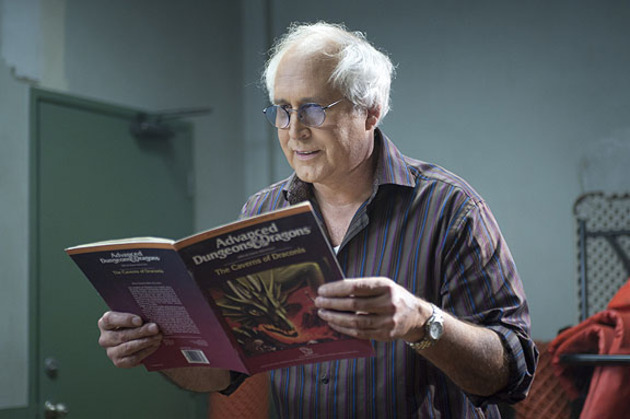 Everyone who has played for more than a decade will refer to what edition of Dungeons & Dragons they learned how to play a role playing game. Mine was 2nd edition mainly because it was brand new about the time I was old enough to play the game. One of my friends at the time explained the general concept although he was only 12 at the time and going off of who knows what. I don’t remember how I acquired the books except for getting the Monstrous Manual as a birthday present. Because I was the one who had the books, my friends expected me to run the game and know the rules. They weren’t the excited type who were looking forward to playing Dungeons & Dragons, but they were curious enough to try something new out they weren’t quite sure what it was about. I think I did alright my first 4 or 5 years playing the game though as I went into high school, the game sessions became fewer and fewer. What few moments I did experience, I always ran and never played. In fact, the first time I played a game was at a convention in 1994. Looking back, I remember making up a few rules that I really thought was how the rules were written in the books. For example, as ThAC0 was created in 2nd edition, I referred to it simply as “Fighting.” “What’s your Fighting? 14? Then with the monster’s armor class of 3, you need to roll an 11 or better on a d20.” That’s how I called it every time. I didn’t use the charts, I made up the numbers. I knew experience points existed, but I didn’t know how to properly give out them, so I didn’t know how their attributes would change or their ThAC0 would decrease over time. Sound familiar? If you are like me, there was a time when we knew nothing about any particular rule system, but our imaginations were so overactive that we didn’t care. We found enjoyment playing the game. Much of this accounts to the fact our imaginations at a younger age are usually more powerful and discovering new concepts at the time whereas when you are an adult, those experiences have been thought of dozens if not hundreds of times and the excitement is gone. I am asked a lot by players how to run a role playing game. They ask for advice, they ask for rule clarification, and they ask for a miracle. The problem is that being asked that question is easy, but trying to answer it without writing an entire book is nearly impossible. You can sum it up perhaps in one sentence. Perhaps something like imagine a general story, describe it in pieces, and then constantly ask them what do they do. However, there really is so much more to being a game master. Each one of these can help a Game Master have more success within his game. Some of these take practice and time to perfect. Others seem like no brainers. Yet I have seen many GM’s fail at several of these issues during game play. And the list is by no means definitive. There are other areas a GM can take note on such as never giving out too much gold to any player, Keep the peace between the players with no peer stealing or friendly fire, or allowing the party to ever split up. These initial six areas are the most important aspects to running an effective game. I’m beginning a 6-part series, beginning with this introductory article, going further into detail of each of these points, explaining the positives and negatives of each, and how to utilize them to benefit your campaign. We will take a closer look at how to get your feet wet as a GM and also how your veteran skills can be resharpened and perhaps revitalized.